In 1855, at just 17 years of age, Nathaniel Bishop left his Medford, Massachusetts home and departed for Buenos Aires, Argentina, carrying few provisions and a mere 45. 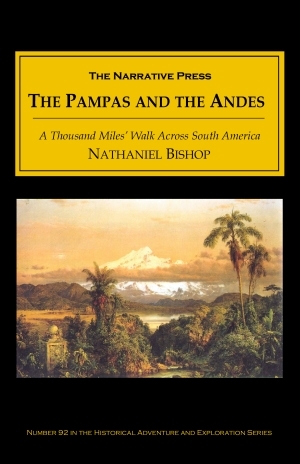 Bishop traversed, mostly on foot, through Argentina and Chile, hiking more than a thousand miles. With assured determination, Bishop finds his way, with an almost fortuitous sense of synchronicity, and recounts his experiences in rich, engaging detail. The next day’s travel brought us to the very heart of the gaucho dominion. As far as the vision extended, and still farther beyond, a level plain, covered with grass, spread out, on which vast herds of cattle, the wealth of the herdsmen, were feeding. … We inquired of them the name of the owner of the neighboring herds, when they replied that we were upon the estancia of Don Carlos B., in whose service they were employed as peons. We again put our horses to the gallop, and sped on over the smooth turf. All day the same speed was kept up; for our animals were true pampa steeds, and scorned a trot. 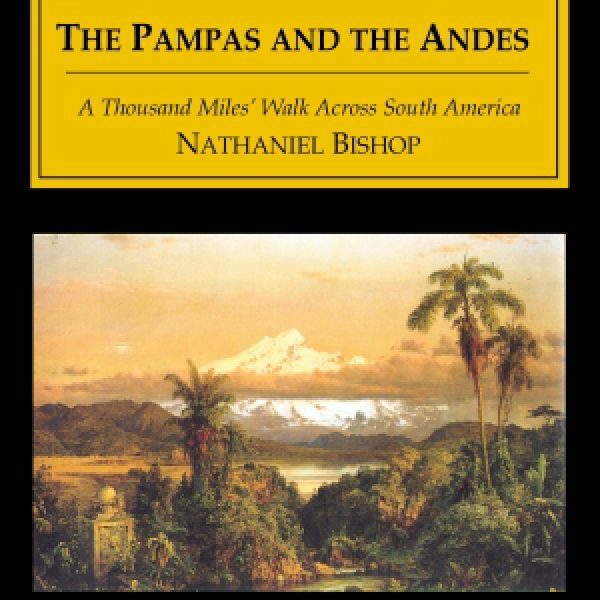 Despite Bishop’s devout resolve to traverse the pampas and rough out a life similar to the men and women who lived there, he did have to resort to occasional conveniences from his homeland. This was the third bath that I had enjoyed since leaving Rosario. The peons laughed derisively at a gringo who could not travel eight hundred miles without washing himself. These disgusting fellows, with one or two exceptions, had not applied water to their skin for more than forty days, and did not intend to cleanse themselves until the troop was close upon Mendoza. Though he was relatively inexperienced in rough travel, Bishop’s keen observations are a delight to read. I lighted my pipe and tried to forget my troubles; but almost dying with thirst, and scorched with the slow fire beneath me, the night wore heavily away. When morning came, I examined my stock of matches, and found that three remained, besides a little tobacco, and, carefully putting these in a safe pocket, I directed my steps to the tall mountain, which appeared to be but a few miles distant. 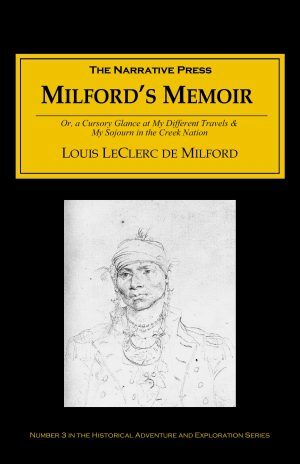 Following Bishop’s return to the United States he became a canoe enthusiast and continued his writing. Two of his other books, The Voyage of the Paper Canoe and Four Months in a Sneak-Box, are available from The Narrative Press.